You'll find plenty of places to visit near Nainital: Ghorakhal Golu Devta Temple (in Bhowali), Bhimtal (Bhimtal Lake & Bhimtal Island Aquarium) and Garjiya Devi Temple (in Jim Corbett National Park). Next up on the itinerary: explore the activities along Nainital Lake, get great views at Snow View Point, take in nature's colorful creations at Eco Cave Gardens, and explore the striking landscape at Chauli Ki Jali. 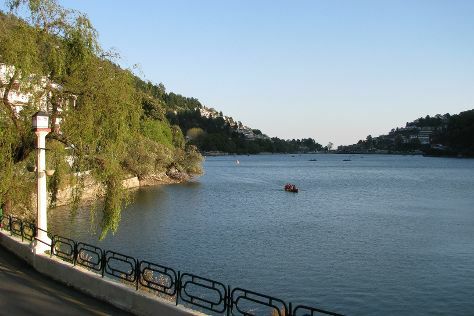 Plan a trip to Nainital easily and quickly by telling Inspirock to suggest an itinerary.